Courtesy of the Yerba Buena Center for the Arts. This year, from Feb. 27 to March 30, the Yerba Buena Center for the Arts will host a showcase of nine design and architecture films. While their topics range from exploring the hidden waterways of cities all over the world to in depth studies of architects like Tadao Ando and Frank Lloyd Wright, The Daily took a more detailed look at two of the showcase’s most exciting films. Shot from a bird’s eye view of downtown Manhattan, the opening scene of “16 Acres” reveals what defines New York City: its skyline. With the attack on the Twin Towers on September 11, 2001, this skyline was irreparably altered, as was the city of New York itself. In his documentary “16 Acres,” director Richard Hankin chronicles the complex process of building on Ground Zero. 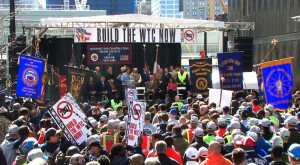 The film focuses on the five major parties involved in the reconstruction: powerful land developer Larry Silverstein, New York Governor George Pataki, the New York and New Jersey Port Authority, architects Daniel Libeskind and David Childs, and 9/11 family member Rosaleen Tallon. 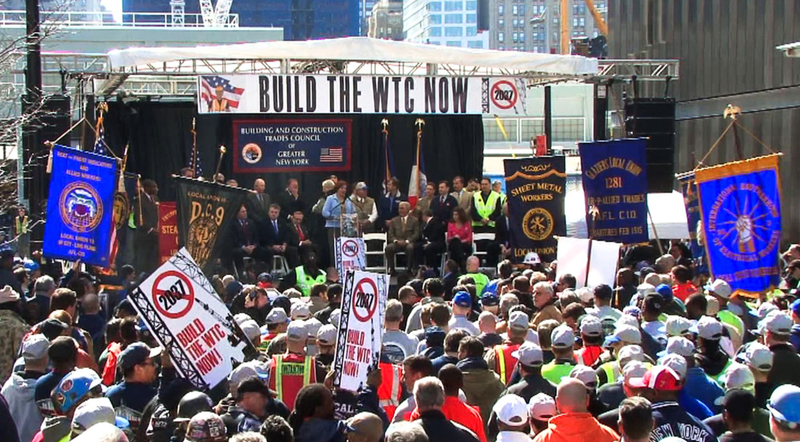 The movie’s strength lies in its ability to reject the tempting clichéd and gushy story about how different groups of New Yorkers seamlessly worked together to honor the lives lost on 9/11. It is an honest account of discord, frustration, and concessions made to successfully create a memorial and new buildings worthy of the site. The film, and its unbiased approach of interviewing leaders of opposing parties, makes us realize that there was no clear answer to the question of who should control Ground Zero. Now, Ground Zero is no longer an empty, desolate plot. Instead, it is a place for Americans to interact and commemorate the lives lost on September 11th, 2001. If New Yorkers grew impatient with only ten years of construction, then the Spanish must be the most patient people in the world. 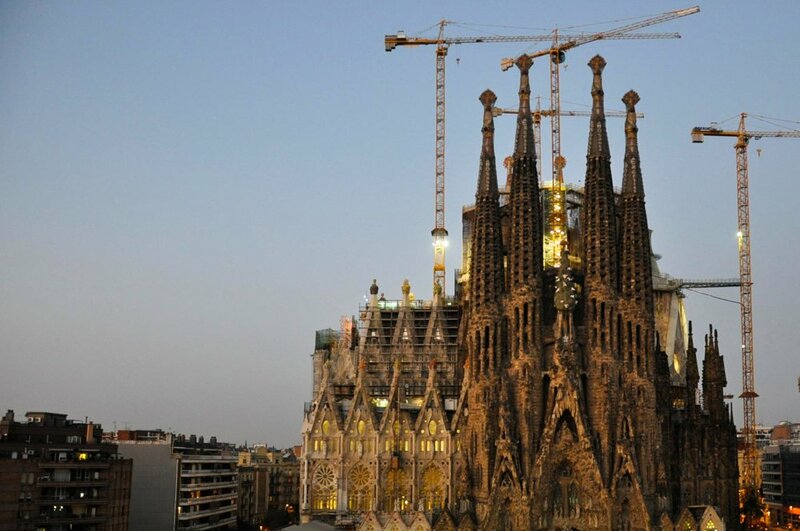 Started 130 years ago, Antonio Gaudí’s La Sagrada Familia is still a work in progress today. Dominated by footage of scaffolding and the active construction of the church, director Stefan Haupt’s film reveals the constantly changing state of this massive architectural project. The film also details Gaudí’s career before La Sagrada Familia, as well as his Catalan heritage and the naturally occurring shapes that inspired him. Once you get past this history, however, the film quickly jumps to the present state of the building. And for architect, artist, or engineer, things get exciting. The film features behind-the-scenes looks at artists and engineers working with computer modeling systems, creating models, and collaborating on issues to increase the dragging pace of construction on the cathedral and of the film itself. Finally, we witness progress. Nevertheless, as Haupt reveals, the setbacks and potential for slow-moving development don’t stop here. Today, the Spanish government is working to create an underground, high-speed train to connect Barcelona and Paris. But the train will run right underneath the front façade of La Sagrada Familia. Clips of interviews show architects and construction workers unsure and pessimistic about the potential impact of this train on the façade of the cathedral. While issues like this worry current director of the cathedral Joan Bassegoda, the completion date does not. 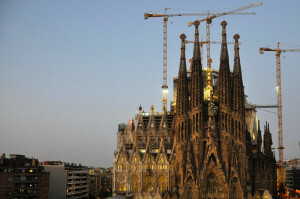 “The important thing about Sagrada Familia isn’t finishing it, it’s building it” states Bassegoda. La Sagrada Familia has connected generations in the pursuit of completing one grandiose piece of architecture. What the documentary lacks in interesting, historical context, it makes up for in its expression of the supreme, enduring power of Gaudi’s vision. Contact Mary Carole Overholt at mco95 “at” stanford.edu.